Looking for a reliable air conditioning repair company in Midlothian or Ellis County? Need your air conditioning repaired today? Let Essential Services come to the rescue. 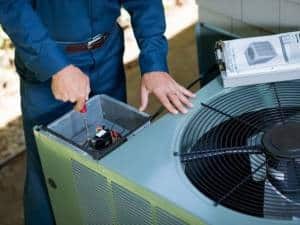 Our air conditioning repair, maintenance and installation technicians and contractors are some of the most highly skilled air conditioning repair technicians in the area. Whether you need your air conditioner repaired or replaced, let our team of factory trained and certified home central air conditioning repair technicians be there for you and your family. Call us today at 469.371.5727! Essential Services are highly trained Midlothian air conditioning repair professionals with years of experience who will work with you every step of the way in getting your home back to you preferred comfort level – from repairing your AC unit to walking you through the entire purchasing process to conducting an in-depth analysis of your home and comfort needs. Furthermore, we will recommend a system or repair options that works best for you and your home. After all, the more efficient the system, the more comfortable you and your family will be.